Rosi steps it up a notch in her SuperUnknown XV edit. The SuperUnknown contest—Level 1 Productions’ yearly video throwdown to find the best amateur talent in skiing—has become the flagship vehicle for skiers looking to make a splash in the scene. Win one of SuperUnknown’s coveted finals spots, and you’ve joined an elite group of skiing’s best and brightest young talent. Last month, the SuperUnknown organizers made a splash of their own when they announced the contest’s first female finalist—Rosina Friedel, a 28-year-old German skier living in Innsbruck—and added that beginning next year, a permanent extra spot in the finals will be made open for women. A predictable online flurry of celebration, commentary and criticism ensued. So who is Rosi Friedel, the woman who broke open SuperUnknown? Q: Hello Rosi! I heard that you just got back from vacation! Where were you, and how was it? A: Yeah, a family van vacation on Sardinia. A bit of hiking, brunching and enjoying the sea. It was great! Sardinia is fantastic, especially in the pre-season. Turquoise water, mountains, nature, tasty food, cappuccio and camping in the wild. I think that many people reading this interview don’t know you yet. Can you tell us a bit about where you’re from and how long you’ve been skiing? I grew up as a “winterkind” in Bad Tölz, a small city in the German foothills of the Alps. My love for wintersport started at Brauneck and Spitzing, slowly and quite late. 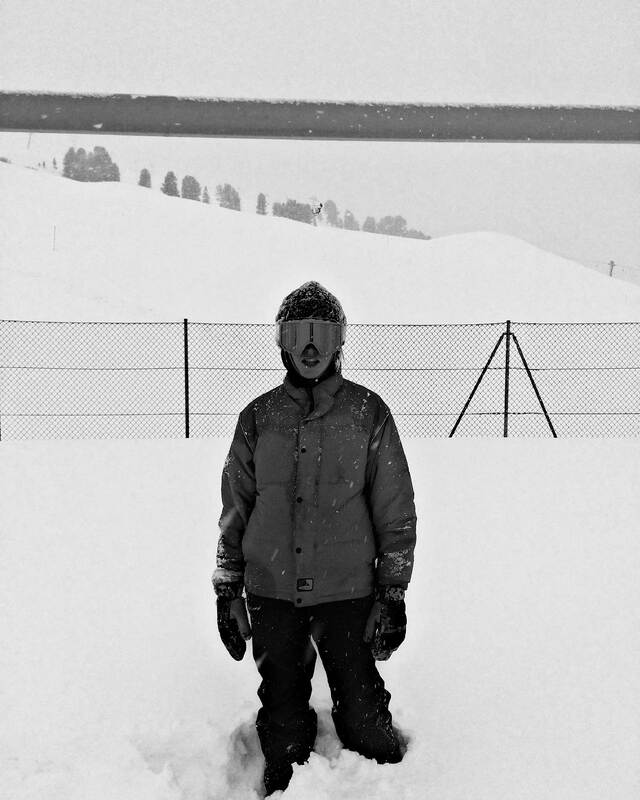 First I fell in love with snowboarding, but after seven years I went astray. I was tempted by the heavy Head Mad Tricks belonging to my boyfriend at the time, and just like that, it happened. I started messing around with park skiing in the Allgäu, and then it really started here in Innsbruck: I was in love! A ten-year relationship has resulted, with its ups and downs. What inspires your style of skiing? Music. A good song, skis under my feet, and I just start dancing. Freedom. Which other skiers do you enjoy watching? There are a few, ski and snowboard. I usually scroll through Instagram, watch videos and always find someone new who inspires me. The people from El.makrell and Projekt Pommes have impressed and influenced me a lot. And I love the styles of Arianna Tricomi, Taylor Brooke Lundquist, Jennie-Lee Burmansson, Coline Ballet-Baz and mista masta swerve gilweezy mistajami. That makes my heart beat! How long have you been in Innsbruck? Do you like it there? Wow, a long time, sometimes I wonder if it’s too long. I came here seven years ago because of skiing. Going to university was somehow always a side event. Innsbruck as a city is one of a kind: the size, the people, the vibes, the sports and most of all, the fast access to nature. Italy around the corner, tasty Knödel, great ski scene, and on and on. But sometimes I feel a desire to leave the “Innsbruck bubble” behind. When that happens, I just get away for a few months. But I can’t entirely leave this city behind yet. Are you still studying in Innsbruck? Which field? Yes. No. Maybe. Art history. You sent in a video to the Level 1 SuperUnknown contest this year. Was this your first submission? How did you decide to enter the contest? Yes, this was my first submission. Rail contests, snake runs and creative playing around are my biggest passions. For me skiing is art, a way to express yourself, to sense and to to feel. Level 1 supports this with SuperUnknown. I decided to take part in the contest due to my dream to make an urban part. And on the other hand, I wanted to show the ski world that there’s another side to women’s freeskiing, those who are doing things off the beaten path of the FIS contests, living their dream and loving the sport. Especially here in Innsbruck there are some really good girls like Lena, Lina, Nada or Steffi… in my opinion, this part of the ski community is disappearing a bit. 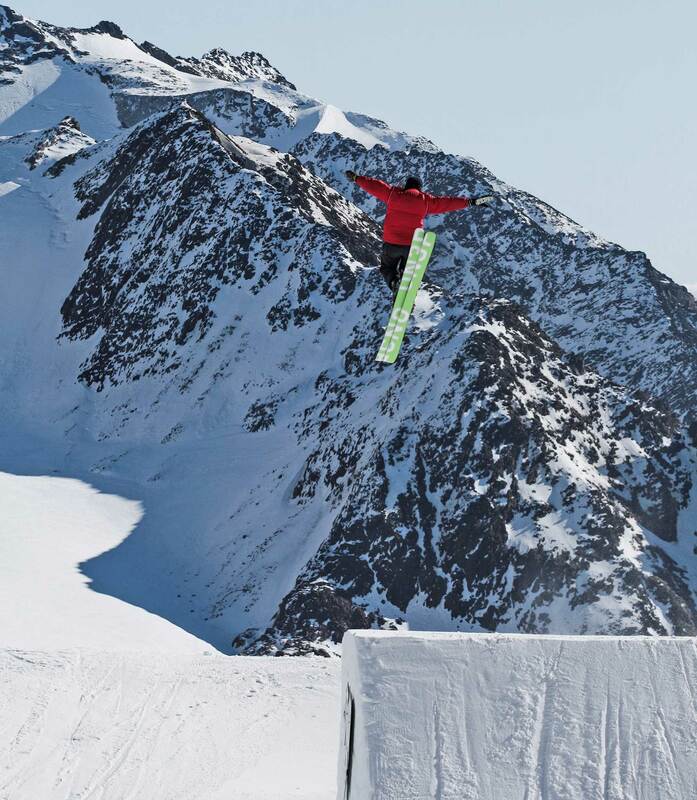 The snowboard scene with girls like Jill Perkins or Maria Thomson is quite a bit more motivating and inspiring. Everything came together in the spring, when I spent three months on the West Coast of the U.S. In Mammoth I got to know a few Danes and this year’s SuperUnknown finalist Jessy Desjardins — great skiers. Jessy had already qualified for the finals the previous year, but wasn’t able to participate due to an injury. (Never give up a dream!) So the topic of SuperUnknown came up, if there’d been any girls… and I thought, SuperUnknown, why not? For me, I just wanted to be able to show off my urban skiing. That’s what SuperUnknown is to me: urban, powder and showing your own art of skiing. And despite an injury, I was able to film last winter and some of this one, and the segment was finished! You’re the first woman to become a SuperUnknown finalist! What was your reaction to hearing this? Were you expecting it? It’s crazy, right? So much love and excitement, as well as discussion. It’s insane! I was stoked. All I really wanted to do was to motivate women to get involved in contests like this, to ride street and go skiing the way they they want to. Maybe I’d make semifinals, but the final, with all of the good edits, that would be gnarly. When I received the nice email from the Level 1 guys, at first I didn’t know if I should laugh or cry. I decided to laugh and leave my ego behind me ☺ because whether I’m there or not, what comes out of it in the end is way bigger and more exciting. Thanks Level 1, next year it’s going to go off! You’re not just the first woman to make SuperUnknown finals, you’re also a catalyst for Level 1’s announcement that there will be a women’s finals spot in future contests. What were the reactions you received after that announcement? They were positive, sincere and full of love. A lot of people were super stoked and wrote to me or shared the news. So much love, thank you world! Of course there were a few critical voices as well, but I think that’s normal. It’s good when not everyone has the same taste. 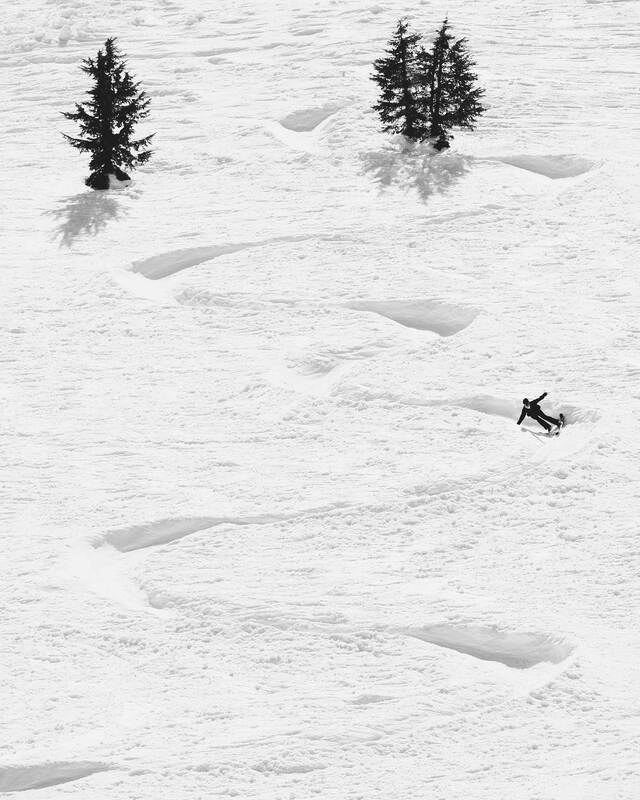 #SuperUnknown was built on the concept of providing an opportunity to any and all aspiring professional skiers to get their foot in the door of an industry that’s often hard to break into. While the contest was never explicitly designed for men, entries from women over the years have been few and far between- less than 10 in total of the 1000+ entries received over the years. This year’s lone female entry, from Germany’s @rosinafriedel stood out- painting a picture of a skier with the style, creativity, and drive to break through- and inspired us to change things up and offer her a spot at the #SuperUnknownXV Finals along with the 10 other finalists. As fate would have it, Rosina recently blew out her knee and will not be able to join us in Winter Park next month, but she’s inspired us to take the next step on behalf of all the women out there progressing the sport. Starting in 2019, we’ll be officially opening up a Women’s category for SuperUnknown XVI, and offering up an 11th spot in the Finals to the most deserving and qualified woman. Ladies- get out there and start logging shots! We can’t wait to see what you come up with for next year’s installment of SuperUnknown! 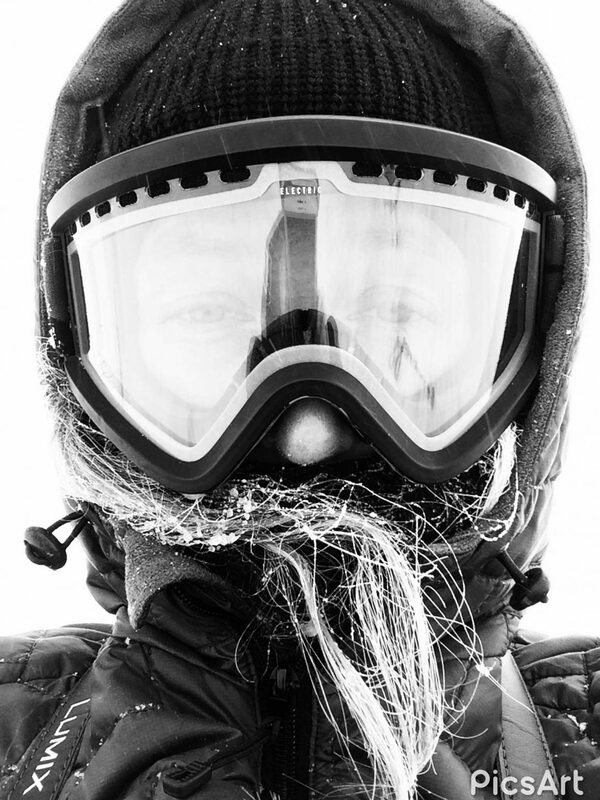 Isn’t it a little weird to all of a sudden be a “barrier-breaking” female freeskier? Haha, I don’t know about barrier-breaking. I’m just glad that we’ve been given the chance to participate in something so great. It’s about time! Unfortunately you can’t participate in the finals due to a knee injury. What happened and how’s your recovery coming along? My recovery is coming along great. Our bodies are simply incredible, everything they can do! My physio Paul is like that too. At first, an ACL tear is like a sad breakup. A lot of pain and longing, that slowly fades into a calm, familiar absence. 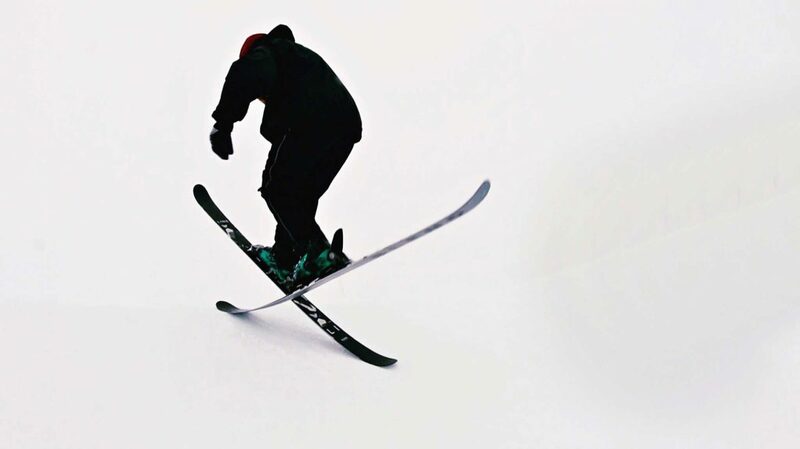 Has your injury changed the way you look at skiing? Do you think you’ll ride differently now? Actually not. For sure you think about it, it’s in your head and you wonder what it will be like when you’re back on skis. But the passion is still the same. I hope the experience will give me more strength and help me to feel my body better. I definitely want to get back to the street and the powder. I’ve still got a few dreams to fulfill. What keeps you busy in Innsbruck when you can’t ski? Well, that was my first question too after my knee went “pop.” It snowed and snowed and snowed, mountains everywhere and people with skis. I couldn’t take it anymore! But thank goodness for the good physiotherapy, friends and family who enjoy spending time with you. Netflix, drawing and books are all true companions. Not recommended is surfing in social media channels. But now that it’s spring, the heart quickens! I can go out and bike! Do the people at home understand the way that you ski? Ah, back home… at the beginning they were for sure wondering what I was doing. They know about competitive freestyle skiing from the newspaper and the Olympics. I try to show them my view of skiing: being free and doing whatever you feel! Just listening to your heart. Mom is always afraid.